DoughMain’s free games are more than just fun. They feature teacher-developed content including age-appropriate financial education concepts and skills. We hope you’ll encourage your kids to try them — we think they’ll have fun while learning. 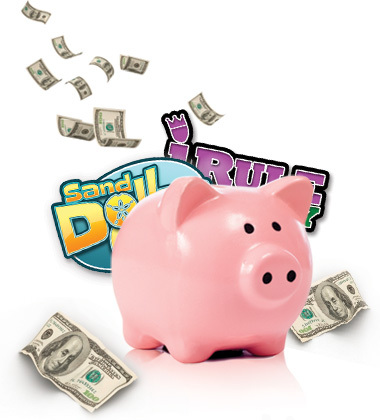 The Fun Vault is packed with money games where children learn to recognize, count and sort money and test their memory skills. They can also compete against their friends and track their own scores to see how quickly they’re improving. Watch your kids venture into this exciting underwater world where the adventure starts with the gift of the family’s candy store. See if they can solve money mysteries and save their avatar’s family business. I Rule Money is a website designed for teenagers with a collection of peer-to peer videos answering money questions that concern teens most – everything from their first job to saving for college to affording their own car.